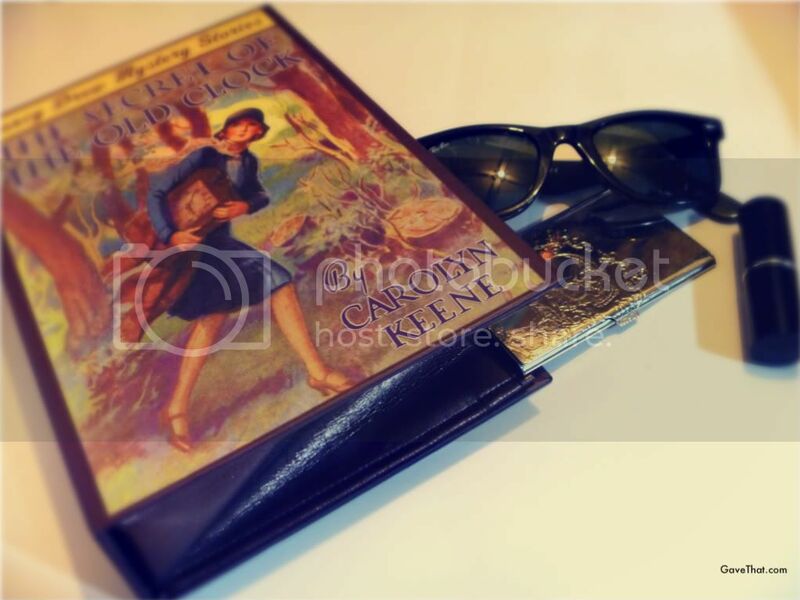 This was pilfered borrowed from a huge Nancy Drew devote and collector... a reproduction of a Nancy Drew book turned into a clutch bag. Originally it was a genius gift set that came with the bag and two books tucked inside (The Secret of the Old Clock and The Hidden Staircase). Sadly it looks as if it has been discontinued by Grosset & Dunlap and this is a real shame because it was such a sweet way to get your hands on one of these highly coveted sort of purses. Still it gives lots of inspiration and a peek into how it's done which could mean a little DIY, if only I could find a suitable tome with the right cover art.